its pretty straight foward of an install with the directions sitting in front of you. it usually takes less than 30 min to do assuming you have the necessary parts installed on the engine already like distributor, 4 wire o2, knock sensor if applicable. 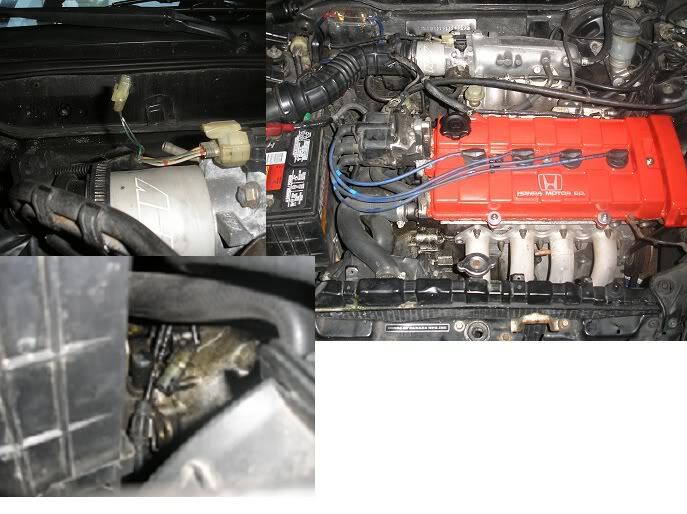 okay well i have a b18a1 (obd1)and i didnt do the swap but i can see the grey plug hanging for the distributor...this motor comes with a 4 wire 02 sensor right? so it should all be there shouldnt it? if not what do you think i would need or where should i start looking to figure it out? can you get a pic of the under hood? and do you know what ecu your running? From OBD1 to OBD0 ?